Harnessing the power of music | So what? Now what? Have you ever had a strong emotional reaction to music—the kind that causes you to smile, cry, dance, or sing involuntarily? Or just to stand a little taller. You know the kind—the song that makes you crank up the radio in your car and sing along at full voice. Or maybe you’re running and that song comes on—the one that forces you pick up the pace. You couldn’t hold back if you wanted to. I’m guessing you’ve had that experience with music. I certainly hope so. Music is one of the most powerful tools for connecting with our inner selves and others. Music is so powerful it has become a universal part of the most important moments of our lives—celebrations, mourning, worship, and virtually every formal ceremony. I have to say, it works. I haven’t listened to my playlist yet that I didn’t immediately feel happier, more powerful, energized. I also plan to create another playlist for calming, one I can play as a start to my meditation or to instill peace before bedtime. I’d love to hear about your experience with music. Please take a moment to answer one or more of the questions below or just tell us how music has affected you. 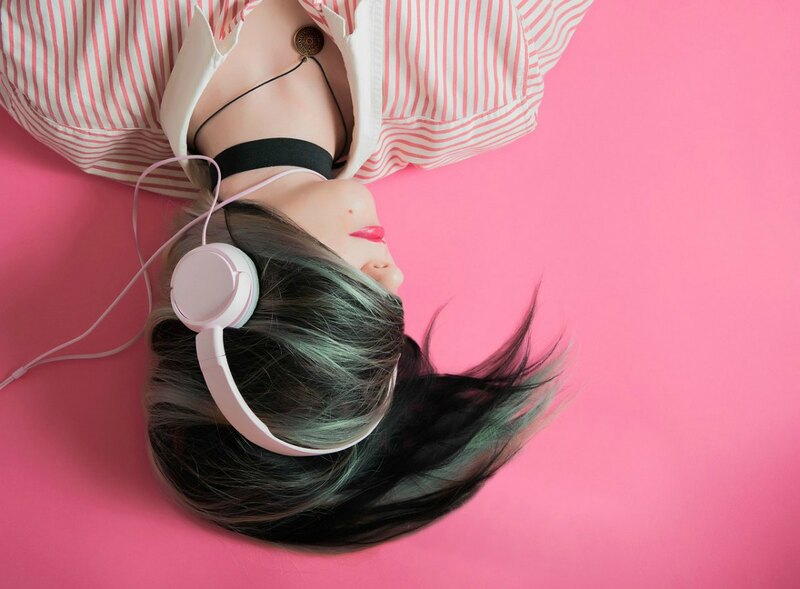 Do you have a positive-perception playlist, or will you commit to creating one? Do you remember the first album or CD you ever purchased or received? 3. I don’t have a specific positive playlist, but we have “favorited” songs on our Google home, and that’s almost as good. And yes! I want to create one now. *I just want to add that I’m often surprised with how little I listen to music while doing chores at home, but last night while doing dishes and kitchen cleanup, we just requested “happy music” from our Google home, and it was awesome! Such a pick me up! Oh yes, I have to add You Shook Me All Night Long to my playlist. I’m not sure I know Melancholy Blue, but I better listen to it. Sometimes you need a good music cry. I love our Alexa for playing themed music. I haven’t tried requesting “happy music,” but I’m going to. My first album was Donny Osmond–ha ha! I remember listening to some of your mom’s albums before that though. Love you Liz! Hi Natalie! The effect music has on our moods and energy levels is pretty amazing. I’d love to hear what you put on your playlists. Oh yes, the old mixed tapes. I remember waiting for a favorite song to come on the radio, so I could push record and catch it. Thanks for stirring up those happy memories, Debbie. I hope you have a delightful day. Music is a really important part of my life and I very often have it playing for different reasons. We created a beautiful soundtrack of music for my dad’s funeral as music as it was so special to him. That was nearly six years ago and I haven’t yet been able to listen to the CD of those selections without crying. Even so, it’s very, very special to hear that extraordinarily beautiful music and think of him. Shared. What a beautiful tribute to your father, Christine, and as you pointed out, a lovely combination of stirring music and happy memories. Thank you for sharing this experience with us. I love this Jennifer. Not only have you tapped into the personal power of music, but also created a bonding experience with your partner. I’ll be watching for your playlist. Often when I’m preparing for a race, I will ask friends and family to suggest songs for my playlist. Then when their songs come up, I think of the person who recommended it, and it lifts my energy to keep me going. Thanks for sharing. Hi Sue. Isn’t it interesting that we can love something, but not have it part of our daily lives unless we intentionally make it so. I’m interested in the fact that you don’t listen to music while you run or exercise. Of course, I understand when you’re running with the sisters, but otherwise that surprises me. I guess I just think everyone does it like I do. 🙂 On occasion, I do run unplugged outside, so I can hear the sounds of nature and focus on my surroundings for a different experience.Thanks, as always, for joining the conversation and for sharing. Happy week to you too! This is a great idea Christie – I listen to a lot of Christian music in my car and at work (on Spotify) because it keeps my mind calm and reminds me to pull my head in and not road rage when I’m driving! As far as fun songs go, I love “You make me smile” by Uncle Kracker and sad songs – “The Day You Went Away” by Wendy Matthews. We also went to see Bohemian Rhapsody at the movies and I felt like a teenager again! The music was always my favorite part of a church service. The music could reach me in a way that the spoken sermon often did not. I still sing some of the hymns in my head, though I haven’t been to a service in years. We have similar themes in the securlar songs that touch us as well. I dance to You Always Make Me Smile and I cry to The Day Before the Day. My daughter and her 14-year-old son went to Bohemian Rhapsody. I haven’t seen it yet, but I think I should. Thanks, Leanne, for joining the discussion and more sharing. Christie – I’m not a big listen-to-music person. 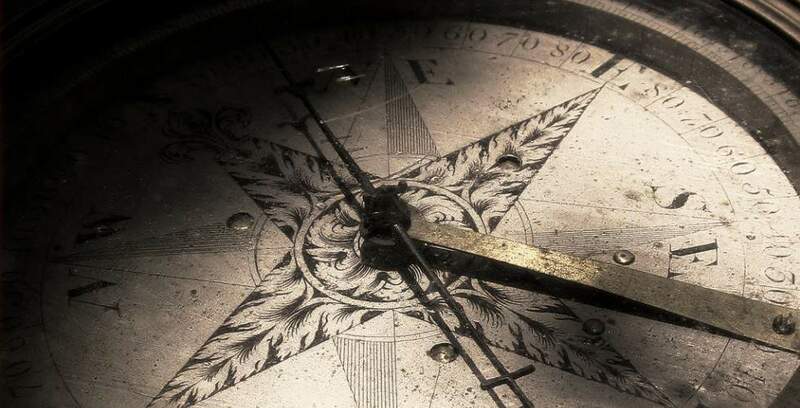 Hubby is and his music preferences are very different than mine, so he’s often got in ear buds around the house and I enjoy the quiet…the wind chimes, the bird song, even the tick of my antique mantle clock. I do relate to the idea of songs that lift me up and like the idea of a positive perception playlist! I might need to fret one for myself. I love music so much, Pat, it always surprises me when someone doesn’t really listen to it. On the other hand, when you mention the wind chimes, birds, and the clock ticking, I really enjoy those sounds too. When I’m hiking, and I see someone with headphones on, I always think they are missing out on an important part of the nature experience. Thanks for joining the discussion.Enjoy your week! I love music, all different kinds. When I was going through cancer treatments you gave me a CD (as well as many other thoughtful gifts) by Melissa Ethridge. Whenever I hear the songs I RUN FOR LIFE or THIS IS NOT GOODYE they evoke very strong emiotions in me. I’m still grateful for those gifts. Thank you for sharing that Cindy. That means so much to me. I love you! I think music uplifts us and for me nothing better than good ole classic rock. I shared this post. I do love the classic rock, Dee. Thanks for sharing. I wholeheartedly agree about the power of music, Christie. I’m (embarrassingly) unfamiliar with many of the songs on your playlist. I’m off to check them out now! Thanks for stopping by Donna. These are songs to get my blood pumping. I imagine I will change up the list periodically or create different lists for different purposes. I hope you have a lovely week. The first album I ever got was an Archies album with Sugar Sugar on it. But the two albums that I remember most and that had the biggest impact on my teenage years: Born to Run and Frampton Live. I have a playlist for writing. It’s all 70’s electronic music like Isao Tomita. No lyrics so I don’t start singing and have it confuse my writing. Oh yes, Jennifer, I remember those two well, especially Frampton. I like the idea of a writing playlist. Sometimes, I put my earbuds in while I’m writing to block out the noise from the household, and I often set it to classical music for the very reason that there are no lyrics to distract me. Music was such a large part of my high school/college years. I tried to instill my love of music in my own children by playing WeeSing CDs in the car. And it worked. All three of them went on to pursue vocal music in high school. But as they grew, I craved silence. Once I entered the empty nest phase of life, I rarely listened to music. Just recently, however, I have reconnected with the power of music. I created a walking playlist that motivates me to keep a consistent pace. And at this time of year, Christmas music always puts a smile on my face. You’ve inspired me to create even more playlists and begin to expand my music selections. I used to listen to music in the car with the kids too. As they got older and liked different music than I did, we would take turns. We’d listen to my music in the morning and theirs in the evening. I love Christmas music as well. I start playing it right after Thanksgiving and pretty much listen to it exclusively (except for workouts) until after Christmas. Thanks for stopping by. Have fun with your playlists! 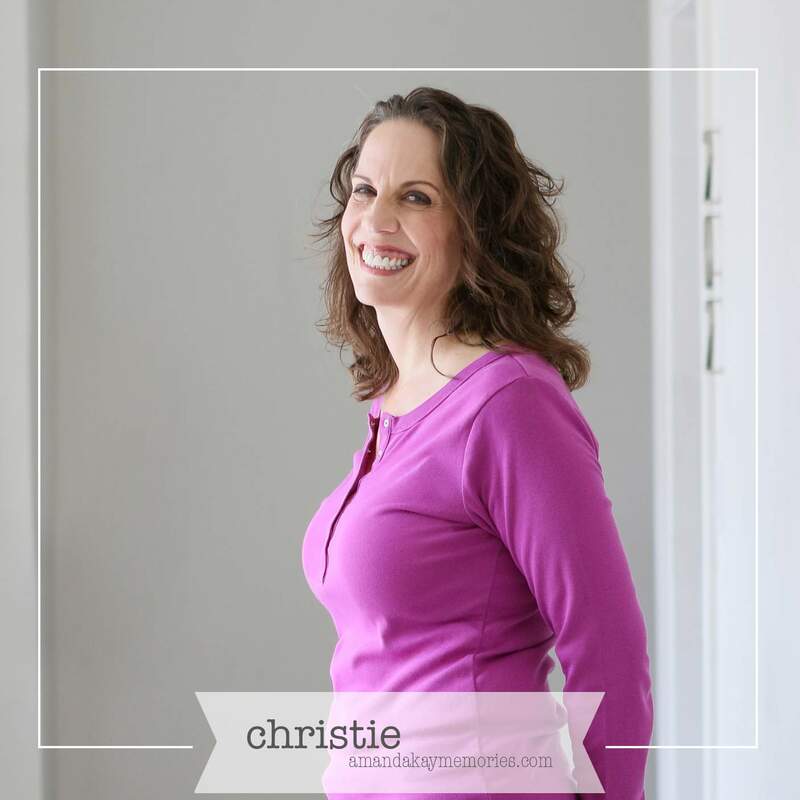 Christie – what a great post! I LOVE music – all kinds. I have a station for every genre in my car and my 600+ songs on my ipod are a total mix. I made efforts to expose my children to every kind of music — to my husband’s chagrin – but they have all landed on their own favorite genre. I am happy that they are not ignorant to other genre’s though — I think it increases empathy and tolerance. I certainly have had pick-me-up playlists (especially in the last few years of my employment years when life was TOO stressful). A few I sing/move to no matter where I am: Gloria Gaynor “I Will Survive”; Joe Texx “Ain’t Gonna Bump No More”; Cheap Trick “Want You to Want Me”; Mary Chapin Carpenter’s “He Thinks He’ll Keep Her”… oh who am I kidding — any time, any where – music. That makes me happy to hear about your love for music–in all genres. I hadn’t thought about exposure to different music genres as increasing empathy and tolerance, but I think you’re right. Thanks for joining the conversation, Janet. This is so spot on Christie. I just love music, I have it inside of me, unfortunately, I can only let it out when I am alone as the wires seem to get crossed as it comes out LOL. My husband is a musician and I love it, in fact, he is just writing about the power of music. One example in Scripture is David playing his harp for King Saul when the king’s mental health was in a dark state. The music had a calming uplifting effect on him. Your post expresses some wonderful areas in our lives where music is powerful. We will feature this positive post on the next Blogger’s Pit Stop. Hello Kathleen. I laughed when I read that you can only let the music out in private. I have the same situation myself. I love to sing, but the beauty of the sound in my head gets lost somewhere along the way to my mouth. My older sister and her children, on the other hand, are all musicians as well. My nephew sang opera in Vienna for several years. 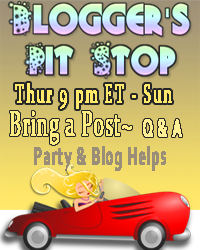 Thank you for the feature at Blogger’s Pit Stop. It’s an honor to be selected.